A chill is in the air and the forecast is showing a steady trend of cooler temperatures for the next week, in our neck of the woods. Instead bristling about the rising energy costs this winter, we're gearing up for all of the fun that the season has to offer. Are you bracing yourself for the hefty heating bills this winter? Don't! Instead, make some of these quick and simple updates to your home, and enjoy the season with your family. When it comes to heating your home efficiently, without breaking the bank, it's all about being proactive! Don't just let that small draft under your front door go. If heat is escaping through tiny cracks and crevices, it could wind up costing you dearly this winter. Purchasing a simple door drop to create a tight seal at the bottom of your entryway(s) is a simple solution to this problem. Door drops (also typically referred to as a door sweep) can cost as little as $2-$3 (and up). You can save big this winter by making this small investment / simple update, now. Drafty windows? First, make sure that your windows are securely closed at the top and bottom. If you still feel a draft around the frame, use sponge rubber foam tape/weather seal to fill any gaps. You can also use indoor window insulator kits to create a tight seal and prevent heat from escaping. Consider swapping out your old thermostat for a Nest Learning Thermostat. It's a great investment, and many energy companies even offer a rebate when you make the switch. Nest just introduced a 3rd generation model, and we're loving everything about it. This model offers a thinner and sleeker design than previous models, with a big bright beautiful display that can easily be read from across the room. And talk about smart! By downloading the free Nest app in the GooglePlay store (also available on iTunes), I can easily manage my home's temperature from my phone. You can either choose to set your thermostat to accommodate your schedule and preferences OR you can simply use the thermostat and within a week, the Nest learning thermostat will start programming itself based on your habits. Heading out for the day, or taking a trip? Simply press the Nest to "Away" mode and it will automatically switch to an energy efficient temperature. And no worries about coming home to an uncomfortable temperature, simply adjust the temperature from your phone using the app when you're on your way back! Genius, right? Nest also provides alerts for your peace of mind. I told you it was "smart!" 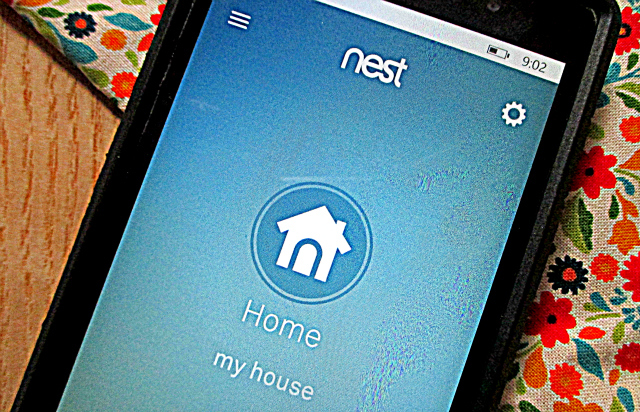 The Nest monitors your heating/cooling equipment, and lets you know if anything is not working correctly. It will also send you an alert if your home's temperature goes above or below the limits that you've set. Pretty great right? In an independent study households using the Nest Learning Thermostat saved an average of 10%-12% on their heating and 15% on their cooling, annually. Think of all the money you can save! What makes the experience with the Nest learning thermostat even better? 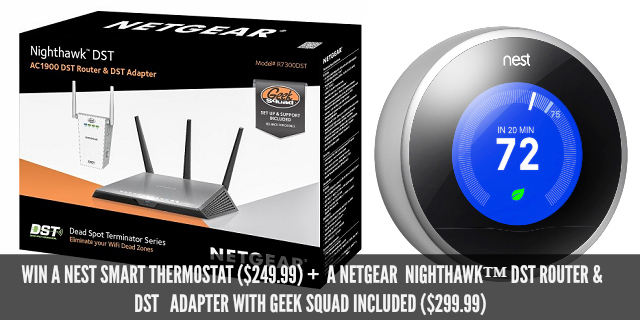 The Netgear® Nighthawk™ DST Router and DST Adapter with Geek Squad included (new and exclusively at Best Buy)! This amazing new router easily allows you to connect up to 10 devices to your home's Wi-Fi network (you can prioritize the devices), without losing speed/stressing your connection. When you have multiple devices, including important devices such as a Nest thermostat connected to your home's Wi-Fi, you definitely want to ensure that all-is-well with your connection at all times, and this is definitely the router for the job! And if you do have a problem, help is just a phone call or click away, with 24/7 Geek Squad service via phone or online. This is a great value, and is included with your purchase! Here's to a fun-filled winter spent with friends and family - minus all of the pesky stress associated with rising energy bills! Giveaway! 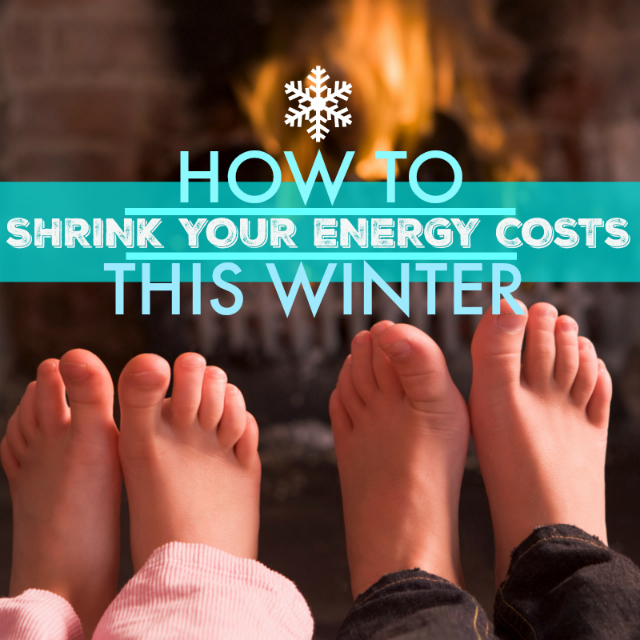 We're so excited to help (1) One Savvy Mom reader shrink their energy bills this winter! 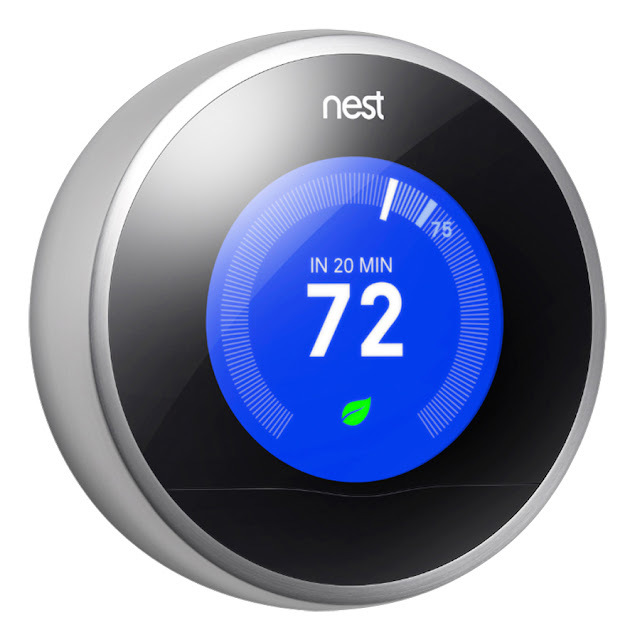 (1) reader will receive a Nest Smart Thermostat ($249.99) and Netgear Router ($299.99)! Entry is easy, you can enter through the Rafflecopter form below. Good luck! Disclosure:The reviewer has been compensated in the form of a Best Buy Gift Card and/or received the product/service at a reduced price or for free. Hi there, is it open to Canada or just the US? this is great! I would love to have a programmable thermostat. It is such a pain to keep going over and putting the temp up or down. I can adjust the temperature from my phone. And it would save money by being in 'away' mode when we are gone. My husband would like this because he likes to save on energy costs. What I love about the Nest Learning Thermostat is that you can control the temperature of your house from your phone AND that it learns based on your habits. I would love to control the temperature using my phone. Such a cool way to save money. I love it because it can connect to my phone, that way when I go away for the holidays I'm not worried that I left the heat blasting. I did that once. Huge power bill afterwards. I love that you can adjust the temperature from your smart phone! How nice it would be to come home from work into a nice cozy and warm home! It's great that you can adjust everything from your phone! I love that I can control it from my phone right in bed :) This means I can turn it up or down when I wake up in the middle of the night without having to get up! Our existing programmable thermostat needs replacing, the nest is a great idea. Being able to control this from my telephone is wonderful! I love that you can get a rebate on your energy bill if you have a nest system! Does the NEST require battery? I love that i could save money on my utilities with a touch of my phone! I have been wanting a nest for a long time? Is it compatible with every type of furnace? I love how it will save me money by having a programmable thermostat. I would love this to help save on our energy costs this winter as it gets super cold in Wisconsin. I love how you can see the display from across the room & how it will actually start programming itself after learning your routine-- that is amazing! I would like this as a ME Christmas gift! I like that you can connect up to 10 devices. I really like this product because you can control the heat of your house using your cell phone. I love the fact that you can change the temp., while you're not at home. I really want one of these. My sister has one and loves it! It would make an amazing gift! I would love this to save $$$ on my heating bills! im excited bc id love to save money with this. I know that my mom and dad have been wanting one of these!